I love looking on Etsy for sewing goodies and patterns and have recently found a bunch of cool things that I wanted to share with all of you! There are 3 sets, each consisting of 6 lessons. The sets are: 1) Streamedlined Sewing (I definitely need to streamline my sewing! ), 2) Dressmaking for Good Grooming (interesting title), and 3)Featuring Tailoring and Dressmaking. Looks fun! 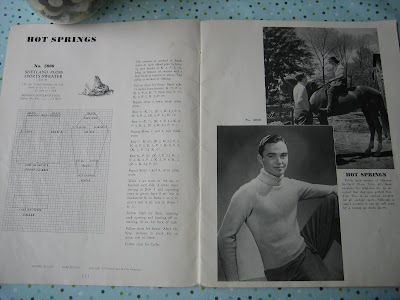 I don't knit (hoping to learn this year though) but I often see tons of knitting patterns from the 30's-60's but I haven't run across any men's knitting pattern booklets from this time period. I love the sweater styles! This Apron Patterns Booklet (1945) is from Clark's ONT- J&P Coats. There are 15 pages and 21 different styles/sizes of aprons to make. 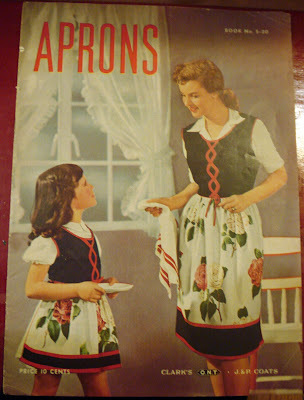 I love vintage aprons...this booklet looks like fun! 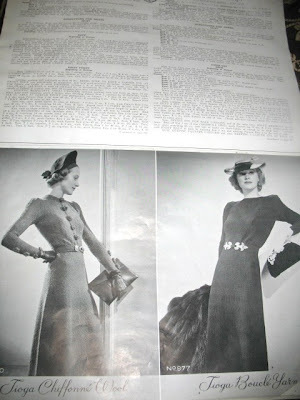 This amazing pattern book from 1939 has a photo on each page of the dress or suit for the knitting pattern. It also has patterns for hats, purses and furs. Wow! It's a bit more expensive but I see the seller has a 'make an offer' phrase in the description. I really gotta learn to knit!! 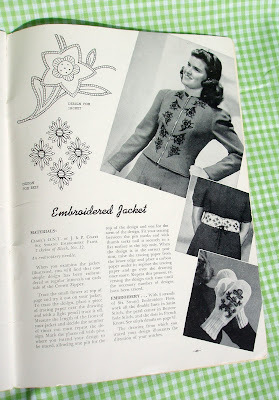 This looks like such a cute booklet from 1941 on all sorts of fashion crafts for the home and wardrobe. There are 50 pages with a reference index. Curse you! I swore I wouldn't spend any more on craft supplies this month! Thanks for this post. 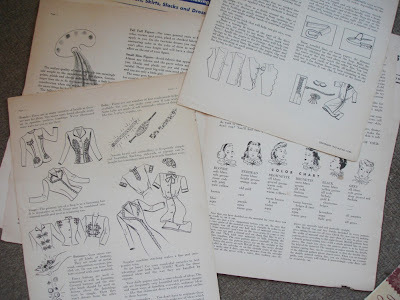 I have been hunting for WW2-era instructions on how to make new clothes from old. I bought the first item and will post excerpts from it on my blog after it arrives. FANTASTIC! Can't wait to see your posts!!! So I ended up buying the first bunch of items in this post, but found that they didn't have the specific information I was looking for (how to make women's clothes out of cut-down men's). They're chock full of great vintage sewing and fashion advice, though, so if you'd like I can pass them on to you. Maybe we could organize a crafty swap from one end of the island to the other? That would be fantastic! Hmmmmm...I wonder what I could swap...Maybe a 40's pattern?